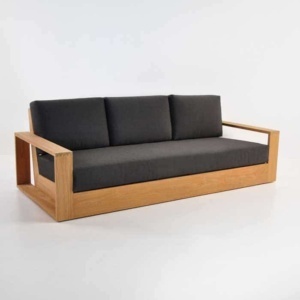 This style is simply unmatched in its sophistication, poise and grandeur. 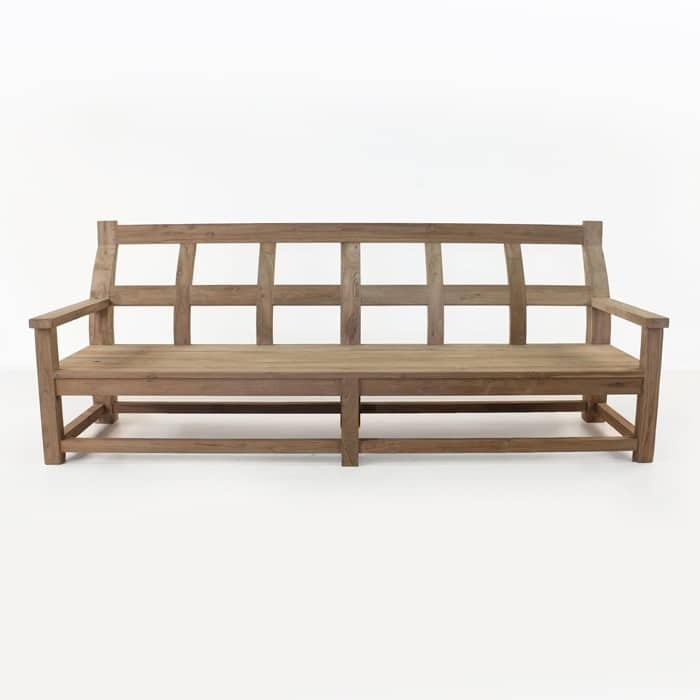 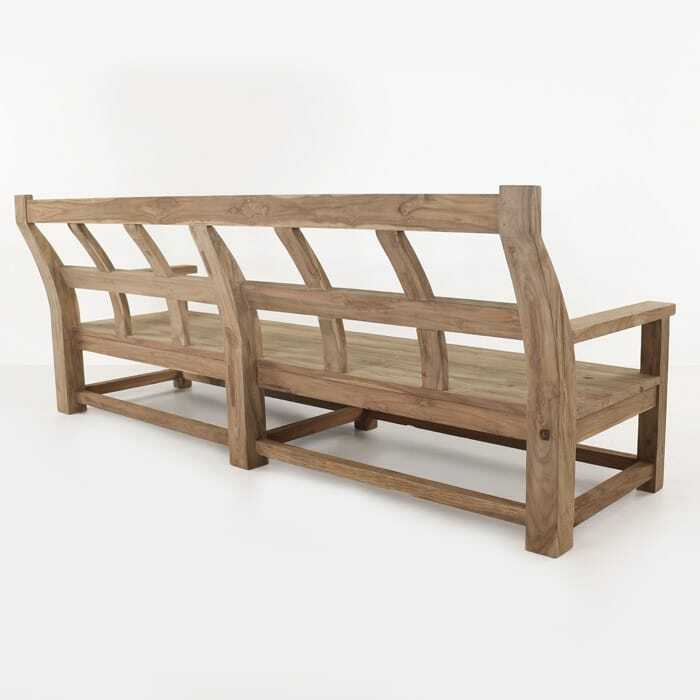 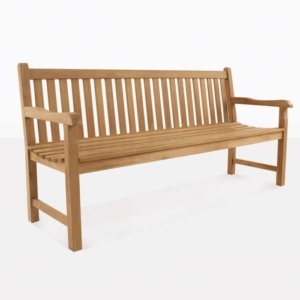 The sheer beauty of the woodwork in this reclaimed teak outdoor bench makes it something truly special. 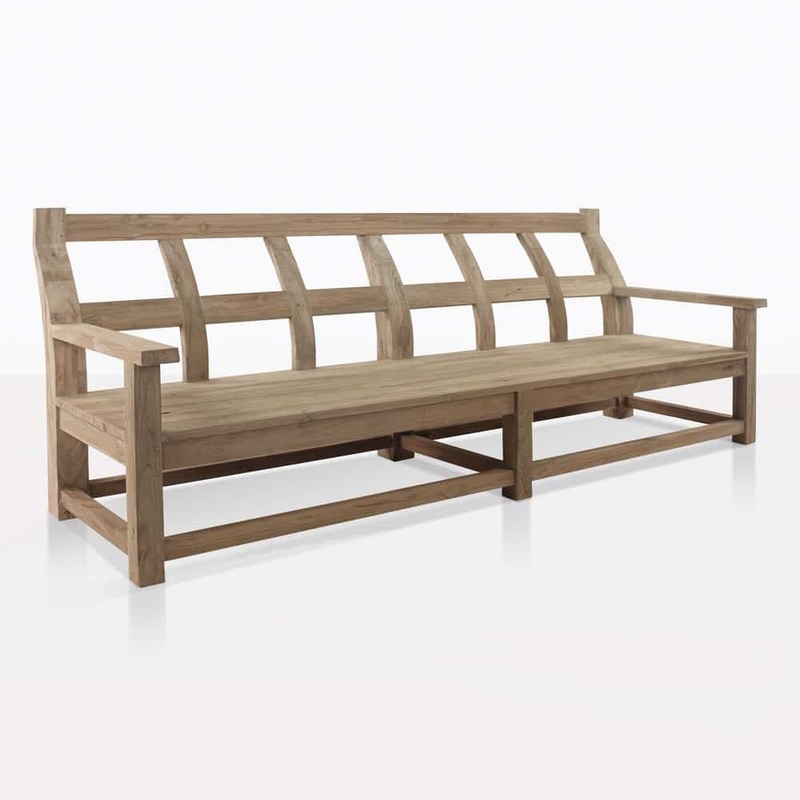 The curves and lines intersect and flow to bring a beautiful bench that is perfect in any space, and will be an attention getter and focal point for any area. 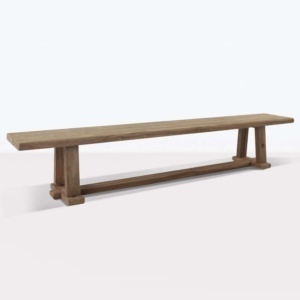 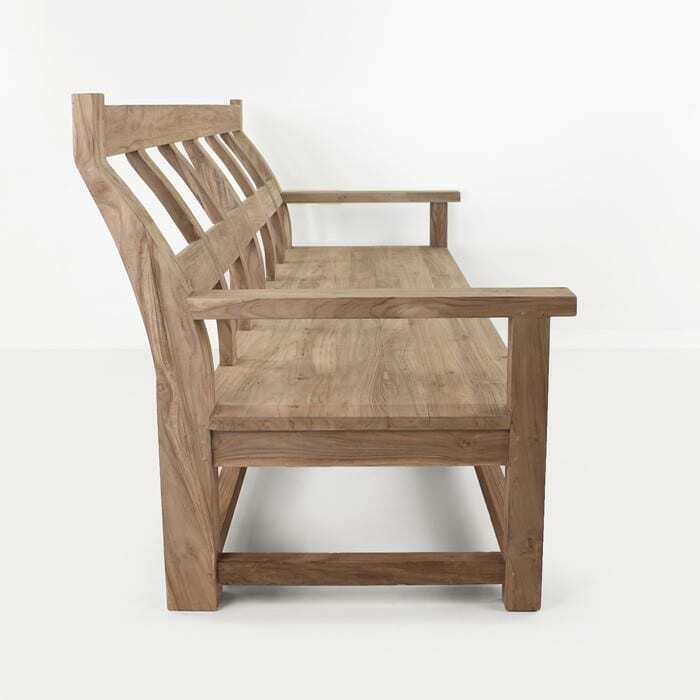 Made from 100 percent reclaimed teak, this style is part traditional, part contemporary, part rustic and all stunning. 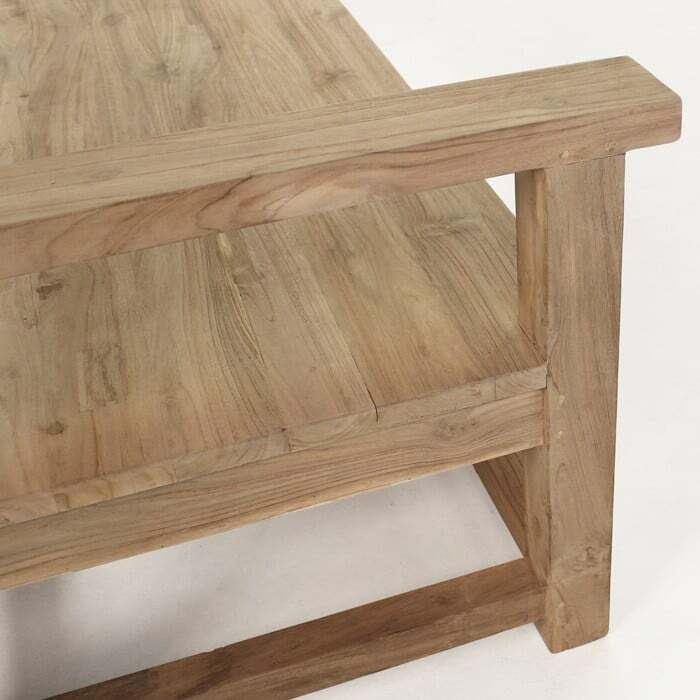 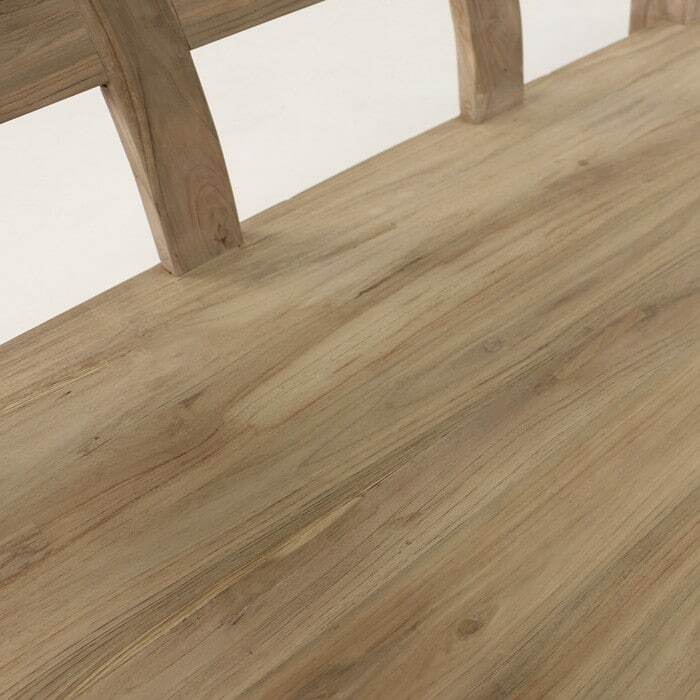 Solid, strong construction make this a piece that will be passed on through generations with the timeless looks, beautiful teakwood and impeccable build quality.